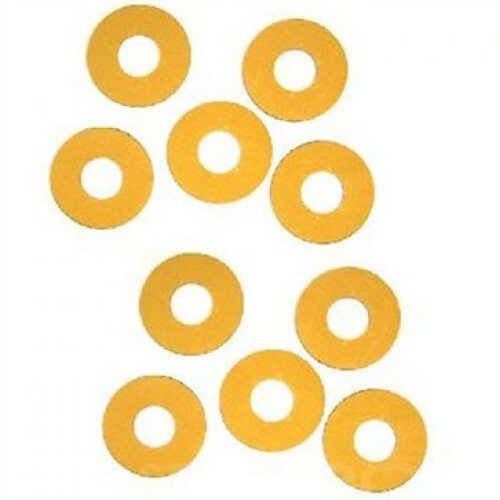 Double sided adhesive washer sticks the tap or fittings in place leaving both hands free for threading and tightening backnuts. Universal size for 1/2 and 3/4 taps, monoblocs, tank connectors, ball valves and toilet seat fixings. Time saving when installing new taps. Essential when replacing old taps and fittings in situ. Double up for undulating china surfaces. External diameter 50mm, Internal hole size 21mm. Cut incisions for larger hole diameters.